A quick, rich and easy to make sweet recipe you must try! 1. Place the paneer in a plate and knead well. 2. Add the sugar, milk, pistachios and almond essence and mix well. 3. Add the cardamom powder and mix well. 4. Divide the mixture into 5 equal portions and shape each portion into a 2" long cylindrical roll. 5. 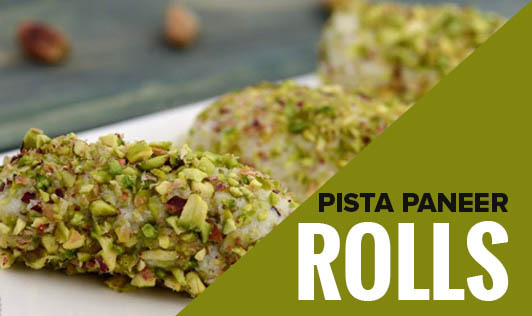 Roll it in the powdered pistachios till they are evenly coated from all the sides.